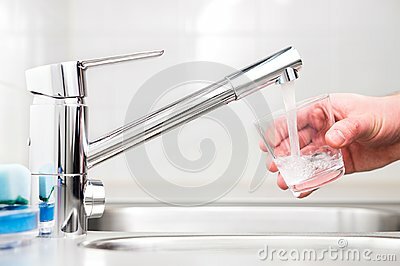 Filling glass with tap water. Modern faucet and sink in home kitchen. Man pouring fresh drink to cup.